And could Pierce be so clueless as not to know that book titles are frequently not plot descriptions — a large-scale version of the principle that Labels Are Not Definitions (something of a mantra on this blog) — and in particular that they are very often quotations intended to shed light on the deeper meanings of the book? Well, yes, Pierce is sweet, but often clueless. 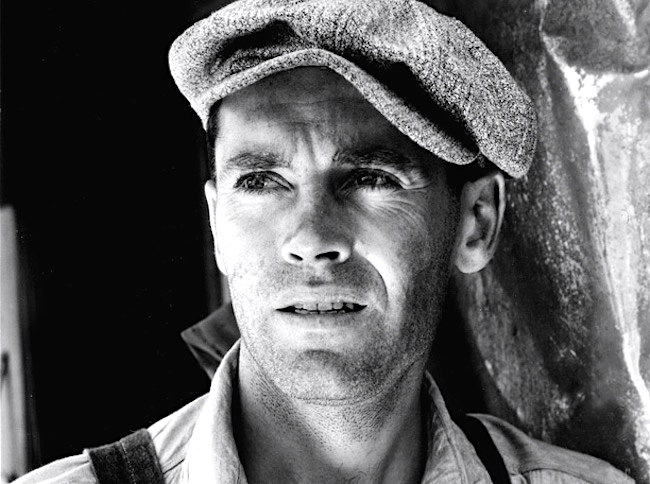 Set during the Great Depression, the novel focuses on the Joads, a poor family of tenant farmers driven from their Oklahoma home by drought, economic hardship, agricultural industry changes, and bank foreclosures forcing tenant farmers out of work. Due to their nearly hopeless situation, and in part because they are trapped in the Dust Bowl, the Joads set out for California. Along with thousands of other “Okies”, they seek jobs, land, dignity, and a future. That would have provided a substantial start on a book report. However, the religious imagery is not limited to these two characters. 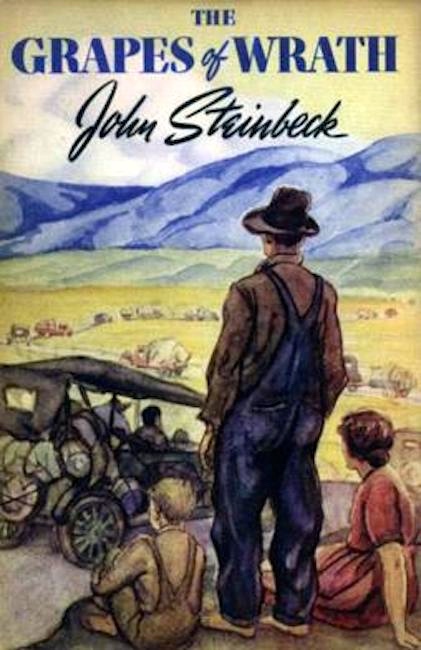 Scholars have regularly inspected other characters and plot points within the novel, including Ma Joad, Rose of Sharon, Rose of Sharon’s stillborn child, and Uncle John. 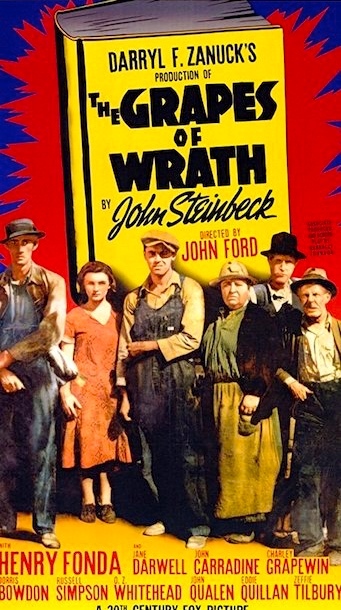 The image invoked by the title serves as a crucial symbol in the development of both the plot and the novel’s greater thematic concerns: from the terrible winepress of Dust Bowl oppression will come terrible wrath but also the deliverance of workers through their cooperation. This is suggested but not realized within the novel. This entry was posted on April 30, 2018 at 5:08 am and is filed under Books, Labels Are Not Definitions, Linguistics in the comics, Literature, Movies and tv, Names, Quotations. You can follow any responses to this entry through the RSS 2.0 feed. You can leave a response, or trackback from your own site. There’s now a Page on this blog providing links to Language Log and AZBlog postings on Labels Are Not Definitions.